The marriage of Velveeta and ketchup is now complete. Kraft Heinz made its debut on Wall Street Monday ... and Warren Buffett's stake is worth nearly $24 billion. Heinz, co-owned by Buffett's Berkshire Hathaway (BRKA) and private equity firm 3G Capital, agreed to buy Kraft earlier this year. Berkshire and 3G acquired Heinz in 2013. According to a recent SEC filing, Berkshire now owns more than 325 million shares of Kraft Heinz. The stock, listed on the Nasdaq under the ticker symbol KHC, was trading around $73 on Monday. But don't expect Buffett to cash in anytime soon. Berkshire will probably hold onto the stock for a long time, as it has done with many of its big investments, such as Coca-Cola (KO), IBM (IBM) and American Express (AXP). In fact, Kraft Heinz is now Berkshire's second largest investment, trailing only the company's $26 billion stake in banking giant Wells Fargo (WFC). 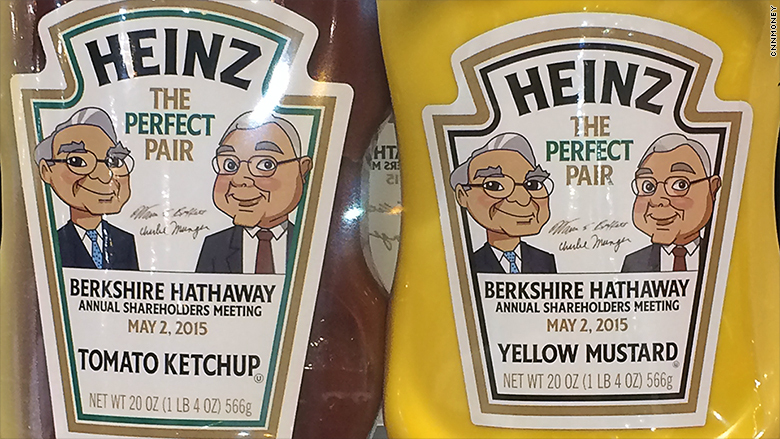 Berkshire Hathaway chairman and CEO Warren Buffett and vice chairman Charlie Munger are big fans of Heinz ketchup and mustard. Buffett has a penchant for investing in food companies -- especially ones that make guilty pleasures. In addition to Kraft Heinz and Coke, Berkshire also owns a stake in Burger King parent company Restaurant Brands (QSR). Berkshire teamed with candy maker Mars to buy gum company Wrigley a few years ago and owns See's Candies and Dairy Queen outright. 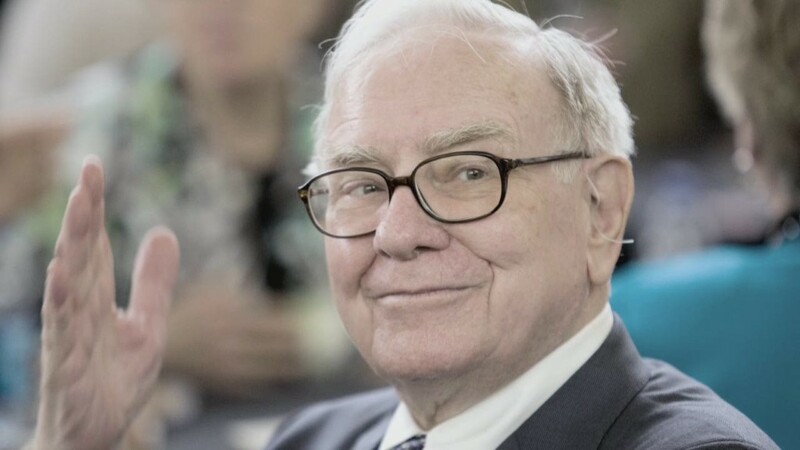 At Berkshire's annual meeting in Omaha this May, Buffett was criticized by one shareholder for continuing to invest in these companies at a time when many Americans are obese. Buffett had no apologies though. He joked that one-quarter of all the calories he gets are from Coke products and also quipped that he never sees anyone smiling at Whole Foods. That may be true. But Buffett must be smiling about how much money he has made for himself and his investors thanks to junk food. Buffett is worth more than $72 billion. And he is donating a big chunk of that wealth to charity. And on Monday, Berkshire announced that Buffett was giving more than 20.6 million class B Berkshire shares (BRKB) worth $2.8 billion to five philanthropic organizations -- including the Bill and Melinda Gates Foundation and foundations managed by Buffett's children Howard and Susan. Correction: An earlier version of this story stated that Berkshire's investment in Heinz doubled from $12 billion to $24 billion. But that failed to include the additional shares Berkshire acquired as part of the Kraft deal.